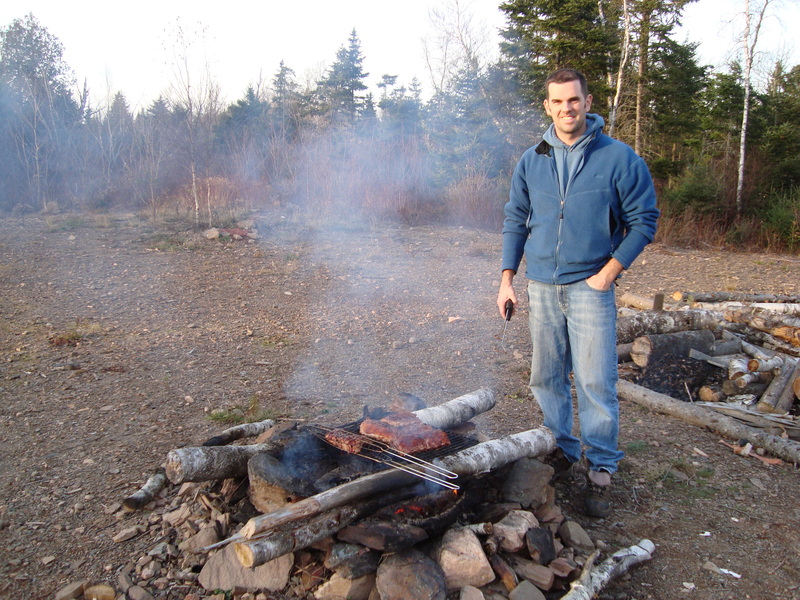 We had some fun cooking supper tonight and it was something that I've always wanted to do: meat on an open fire! 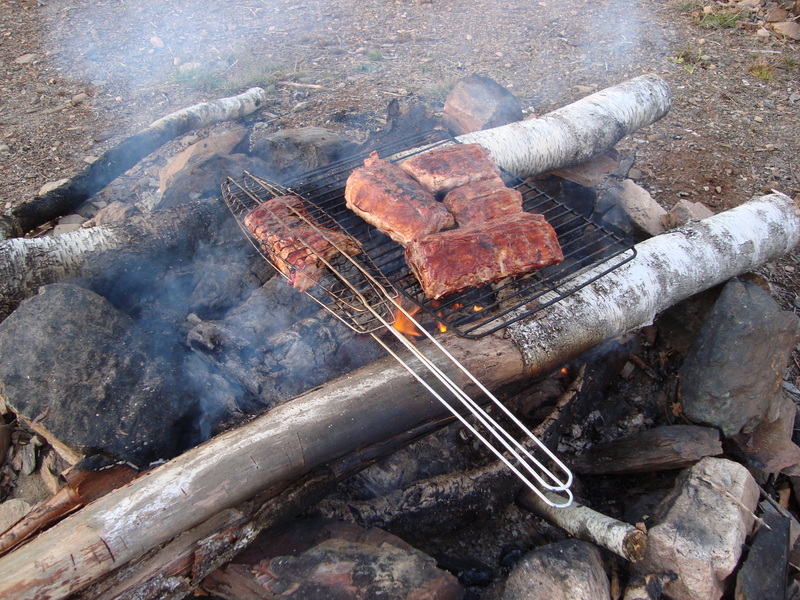 There are a couple of key points: getting a good bunch of coals is the most important part (thanks Sheena); using a stable platform; and constant attention to the fire and the meat. The end result was a smoke house flavour to back ribs that tasted almost as if they were baked in an oven. Fun times! You look armed and dangerous with that lighter Dave! Looks like fun.